We have a great range of patrol tents. They are waterproof and rot proof making them great for any outdoor occassion or scout group! 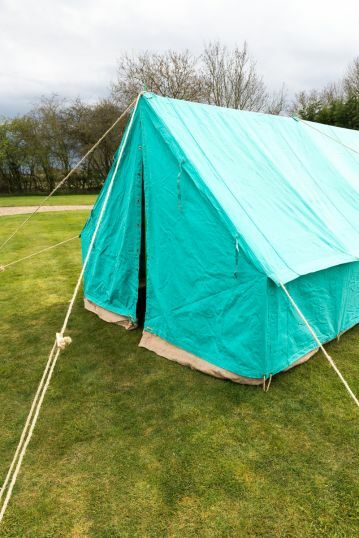 Our Patrol tents are made from 450gsm canvas, the finest-quality hard wearing canvas. They are fully waterproof and rot-proof. The tent includes heavy duty sisal guy ropes with wooden sliders. 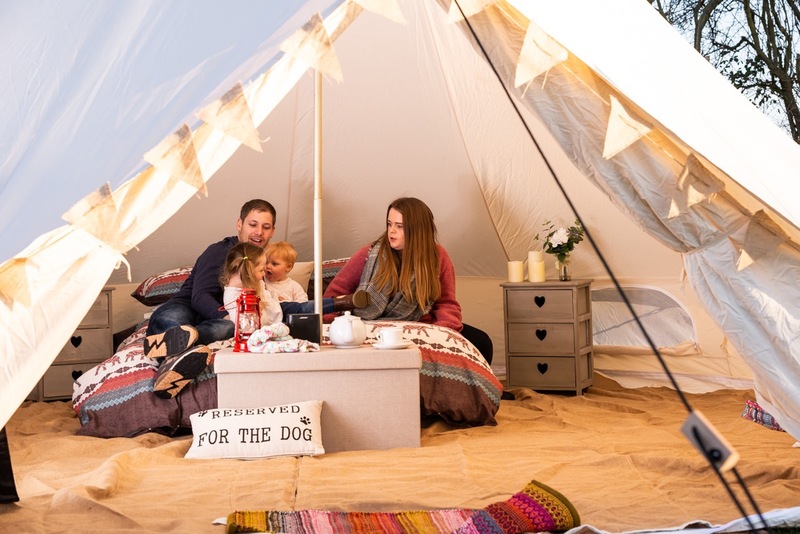 This makes them ideal shelters or tents for any outdoor occasion, event or scout group. Packs include pegs, poles and a FREE mallet. Once erected you have a beautifully sheltered space of 14' x 14'- It can easily sleep at least 10 people. Available with either wooden or metal poles. 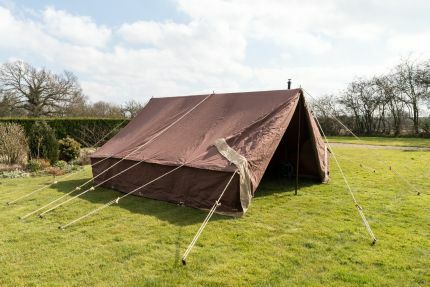 PATROL TENTS COME STANDARD WITH METAL POLES.